The Equality Journey keeps proving its adaptability to different contexts and target groups. 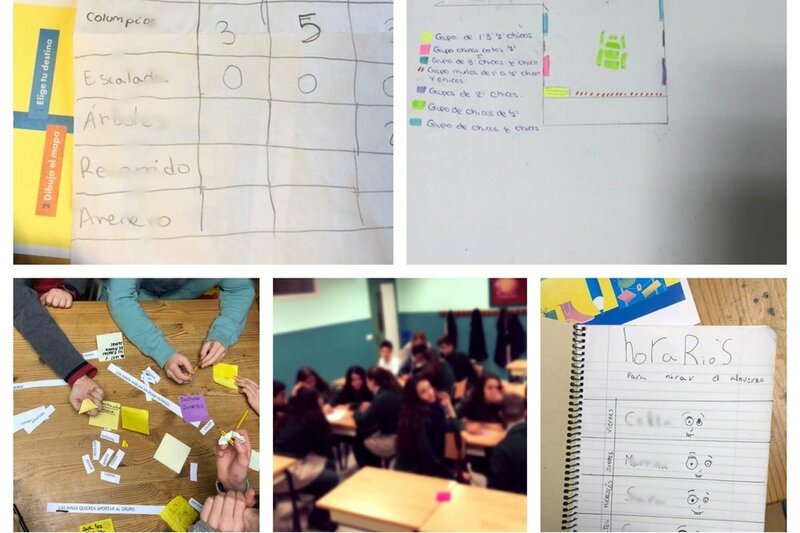 Since the beginning of January, our Spanish team member, Espora Consultoría de Género, is using the tool with students in primary and secondary schools. The aim is to involve them in the analysis of their schools from a gender perspective and support them in the process of designing measures to change what they don’t like. The idea popped up in 2018. Espora has been working in secondary schools in the prevention of teenage gender violence for several years and a common demand from students after a few workshops was: What can we do now to take action? After learning and gaining awareness of the relationship between gender inequalities and violence against women, they wanted to be involved and promote changes. This is when the Equality Journey came to our help. We knew that the tool would be a great support for the students in providing them with a systematic path to achieve their goal, so we set to work and, during the summer, prepared a draft tool adapted to the school environment. So far, we are testing the Equality Journey in 6 secondary schools and 1 primary school in the region of Asturias (north of Spain), and the process is being awesome. We are learning a lot and the students are discovering a few unexpected inequalities. It is proving an inspiring exercise for them, as they experience the challenges of bringing theory into practice. We will go back to the tool in late spring to improve it with the lessons learned during the pilots. We will keep you updated on our findings!